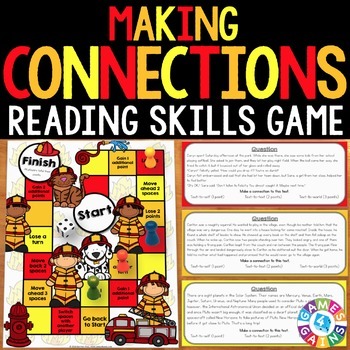 This Making Connections Board Game contains 30 paragraph game cards and a game board to help students practice reading texts and making text-to-self, text-to-text, and text-to-world connections based on the information contained within those texts. As students make connections within this game, they earn points. This point system is designed to incentivize students to make more difficult connections. Making a text-to-self connection earns 1 point, making a text-to-text connection earns 2 points, and making a text-to-world connection earns 3 points. 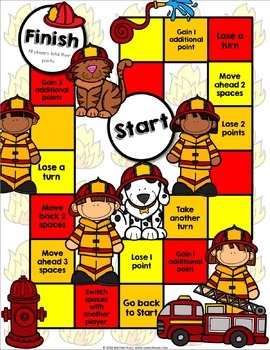 This Making Connections Board Game works great as a pair/group activity, or for use in literacy centers when teaching the skill of making connections! Note: Because connections are personal to each student, there are countless possible answers for each card. 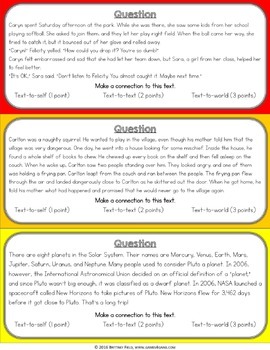 However, to help students, I have included a sample answer on the back of each card for one type of connection. Want to learn more? Check out the preview file above. Think ahead and save $$ by buying this game as part of this discounted READING SKILLS GAMES BUNDLE! Looking for another resource for practicing making connections? These Making Connections 'Clip and Flip' Cards enable students to self-assess their ability to identify different types of connections. Click on the ★ above to follow our store. CLICK HERE to visit our website for more free resources and teaching ideas! Leave feedback to earn credit points to save money on future products!